We have 2 Ergoline Advantage 400 Beds. 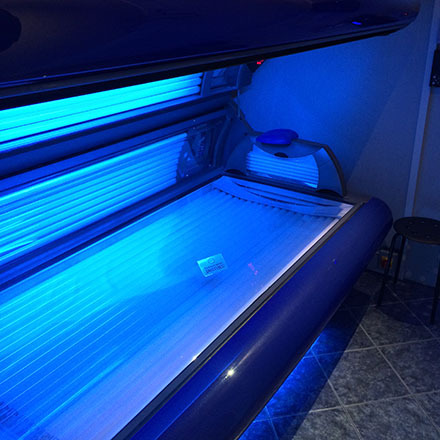 These beds have 40 x 160 watt Ultimate Bronze tubes and 3 x 400 watt facials. The Advantage 400 ensures the highest tanning results with a perfect combination of 3 VIT Max high-pressure facials, 40 Turbo Power tanning lamps and a reflex neck tanner. In addition, it features a relaxing Bodyform Plus base acrylic with integrated headrest. Its Comfort Cooling ventilation, with cool air coming from facial and body zone outlets, is infinitely variable and keeps clients feeling fresh during the tanning session. These beds are especially ideal for the first time user. 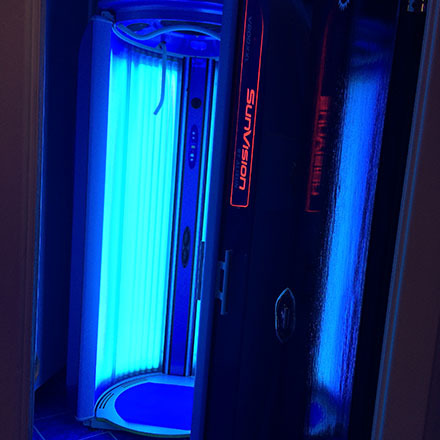 We also have an Ergoline Mega Turbo bed that has 50 x 160 watt top and bottom Ultimate Bronze tubes, 5 x 25 watt Shoulder Tanners and 4 x 500 watt adjustable facial Tanners with ultra V.I.T. filter reflector technology. 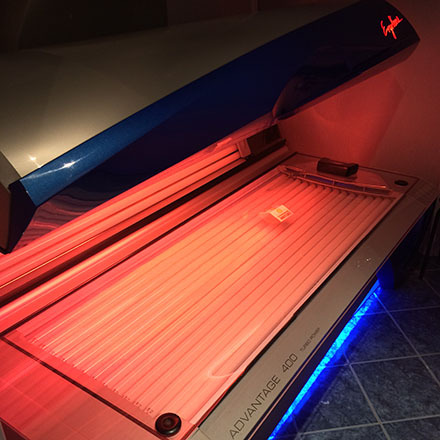 This fantastic sunbed also has 2 air conditioning cooling fans. The bed is ergonomic shaped for your comfort whilst tanning. We also have 2 Stand-Up sunbeds. The excellent body cooling system in combination with the very powerful Cool Breeze Unit provides superior comfort. The separate lamp cooling ensures that the lamps perform to perfection. With its 48 x 180 watt Ultimate Bronze tubes as a power source the V 200 XXL offers the very best in vertical tanning.